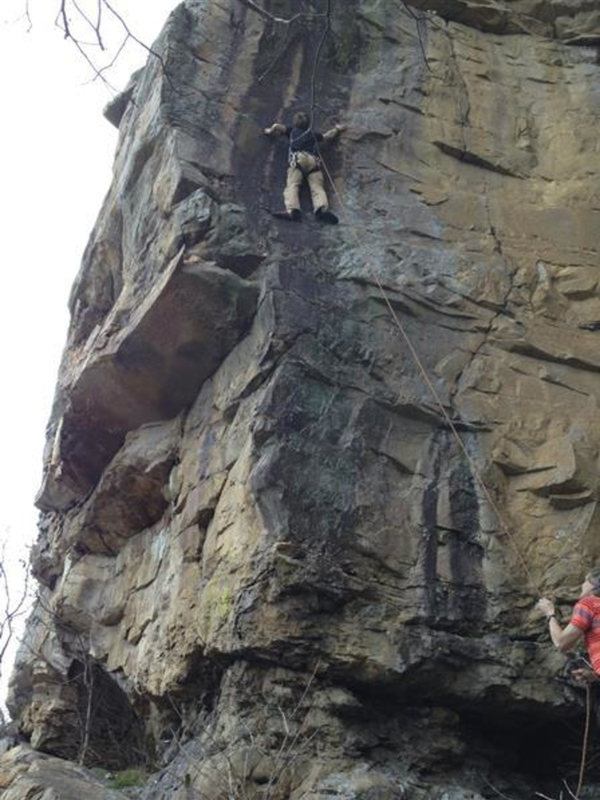 The cliff line overlooking the small town of Steele, Alabama boasts roughly 100 quality routes on excellent sandstone rock. The Southeastern Climbers Coalition and Access Fund scores another win as they manage to reopen cliff line above the small Alabama town of Steele to climbers. Access had been denied for more than 20 years, but in 2009 the SCC worked out a deal to secure 25 acres and more than 1,400 linear feet of cliff line that boasts nearly 100 high quality routes on the superb sandstone that defines climbing throughout this area. This agreement preserves the tract for future generations to enjoy and includes over a mile of cliffs from 80 to 100 feet tall. 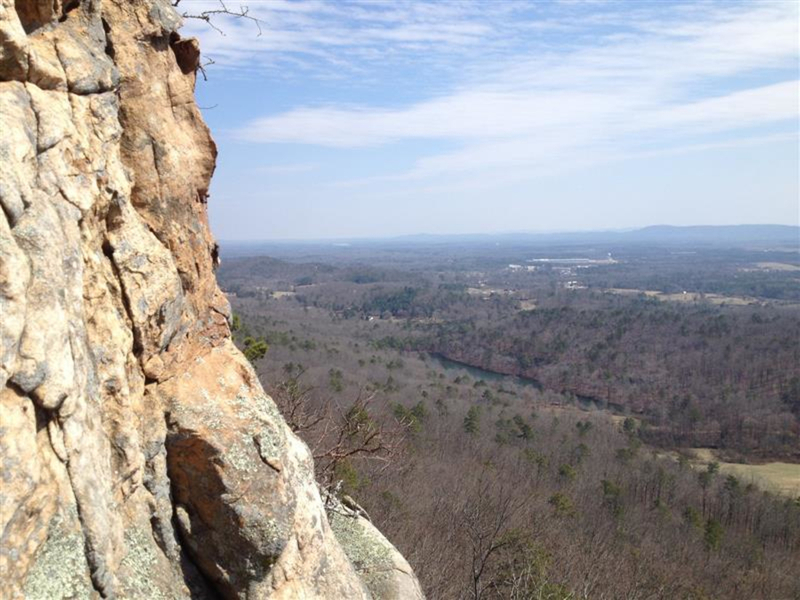 This cliff line is a favorite among southeastern climbers, especially climbers that hail from Birmingham and Huntsville. Horse Pens 40, Sand Rock, and Hospital Boulders are all within spitting distance of Steele and would make for a great multi-day road trip tour of Alabama’s climbing hotspots. But if all you have is a day, and you’re looking for as many trad and sport routes as you can handle, then our recommendation is to head to Steele. It is broken up into several cliff sections and one main feature area called the Amphitheatre. There are sport routes and traditional routes, each with its own climbing personality. Birds Nest, which is a 5.9 traditional, is considered by many climbers to be one of the best of its grade in the entire state of Alabama. Another section called Meathooks, which is a 5.13 sport, is revered as well to be one of the best in Alabama. The best time to be here is during the cooler months, as the southern exposure of the cliff will melt the rubber off your shoes in the scorching heat of Alabama summer, when the poison ivy and chiggers are rampant. There is no physical address for the parking lot to access the crag, so be sure to follow the detailed directions on the link to the right. 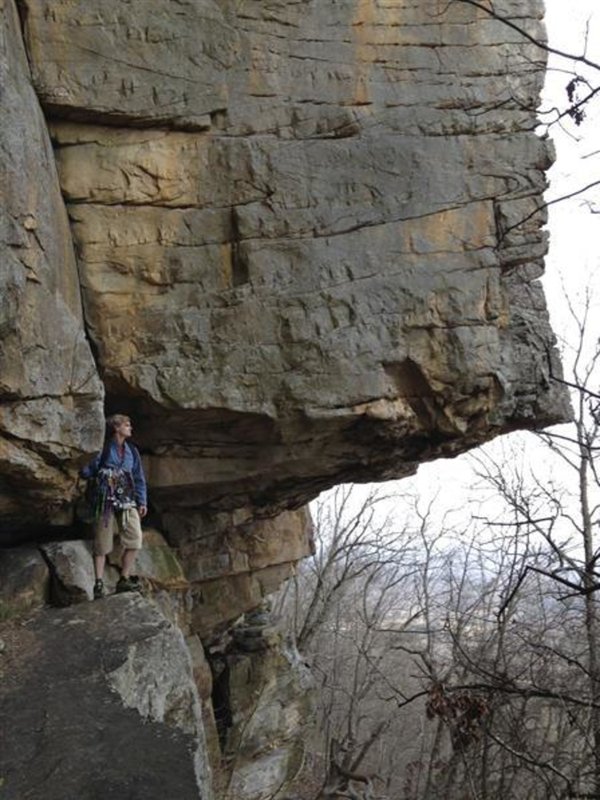 An interesting fact: This crag is featured in the short film “Heart of Stone” by Andrew Kornylak and Josh Fowler. Steele is best for at least the intermediate climbers, as the sections are somewhat risky with parts that have a possibility for a pendulum fall. This crag is probably best if climbers have a level of experience, both physical and mental, that beginners may not have obtained. Steele is perfect for the climbers that are looking for a little more rough, raw experience that feels like a first climb versus well-traveled cliffs. Take I-59N to the Steele Exit (Exit 174). Turn left off the exit onto Steele Station Road and continue to the dead end at US 11 (Main Street/Pope Ave). Turn left, continue less than half a mile, then turn right onto Chandler Mountain Road. Continue about two miles. Go past the entrance to a poultry farm and turn right onto the next gravel road. Continue, taking a right at the fork, and the road will end at a mobile home and shed. This is considered the parking area and trailhead for Steele.